Owing to the vast experience and knowledge of this domain, we have been able to offer high quality Central Exchange Type Paging and Talk Back System. We are renowned in many industries for providing high performance of our Products. 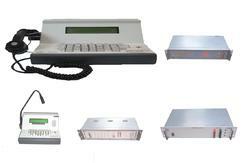 Looking for Central Exchange Type Paging and Talk Back System ?